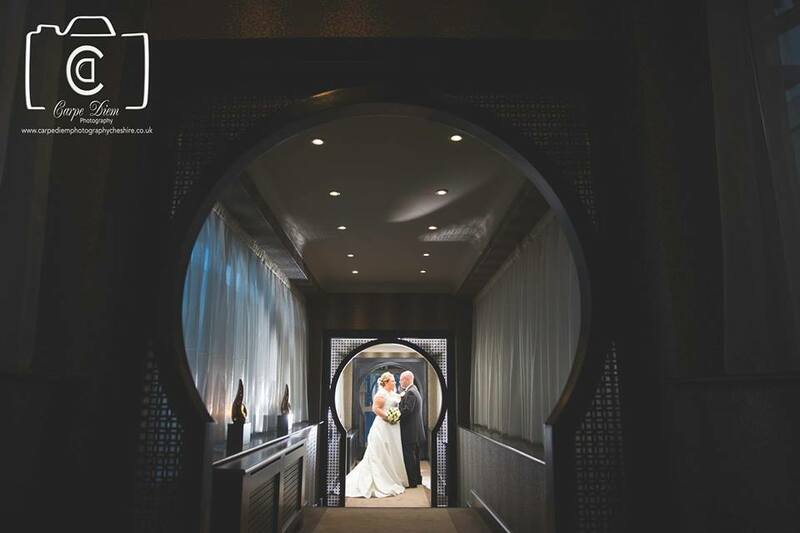 We pride ourselves on helping to make your wedding day the happiest day of your life. 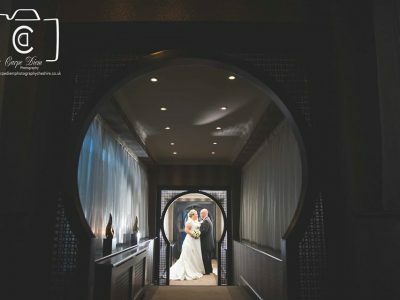 Attention to detail and complete flexibility mean that you can confidently leave the details in our very capable hands. 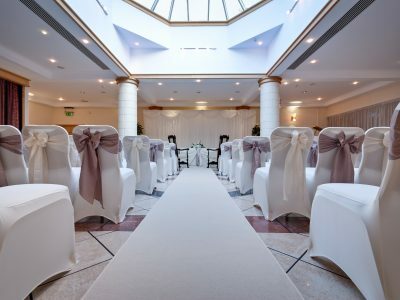 You and your guests can truly relax in style and thoroughly enjoy your special day. 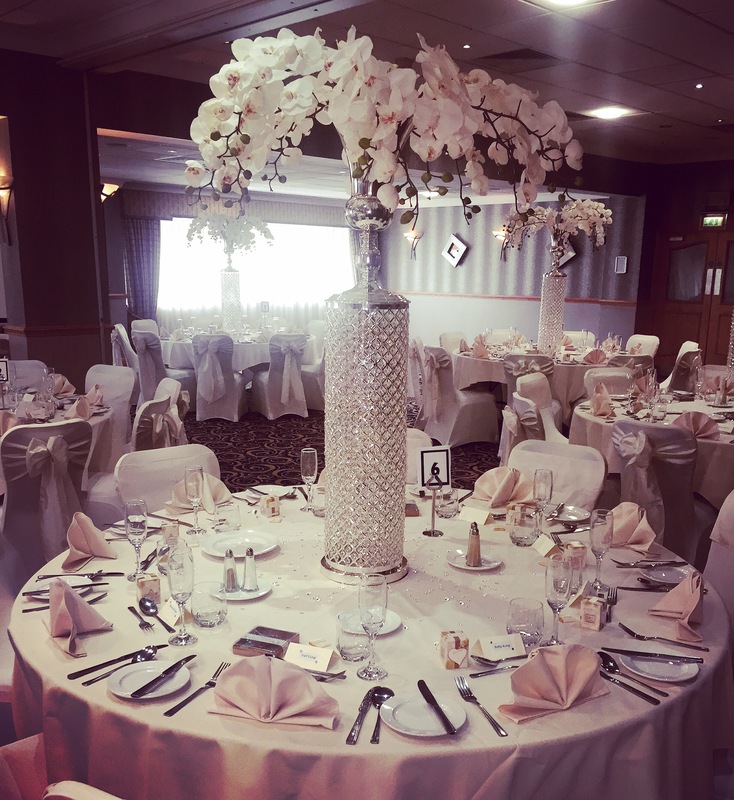 We start with a blank canvas- you complete the picture, safe in the knowledge that the setting, venue and quality of service will be second to none. 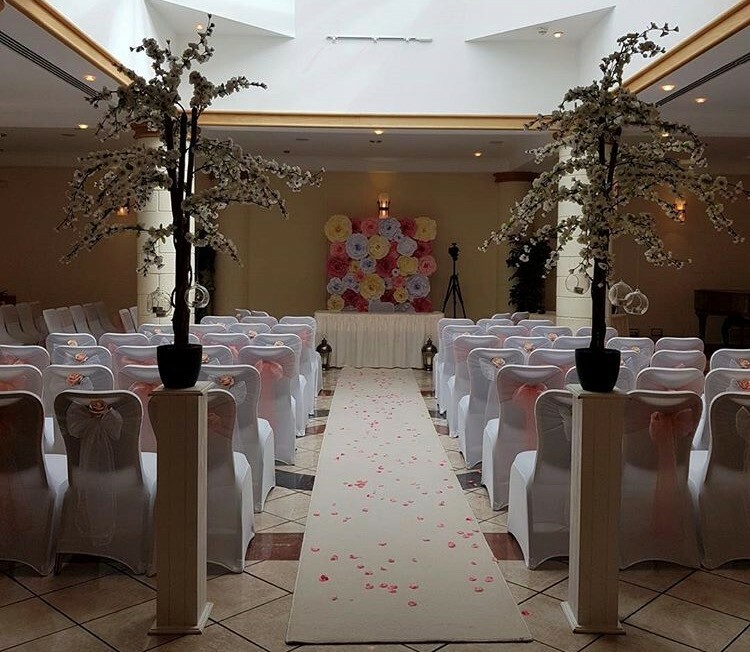 Our stunning Atrium, with its cascading water feature, is an ideal location for a Civil Marriage Ceremony and provides a beautiful backdrop for any indoor photographs. 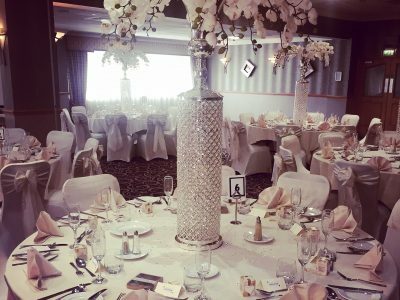 Based on 50 guests for wedding breakfast & 100 guests for the evening. 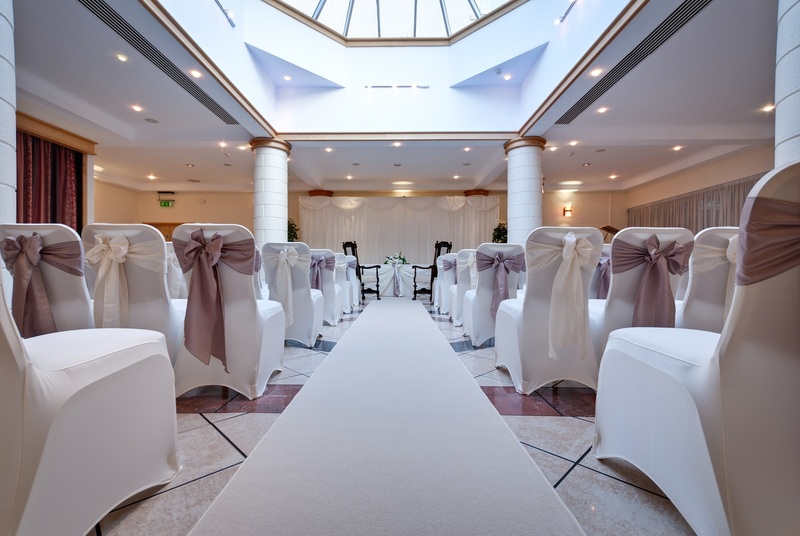 To use our Atrium for your civil ceremony room hire is £250. Mini Fish & Chip Cones/Mini Burgers/Mini Hot Dogs/Salt & Pepper Chicken pieces for evening reception. 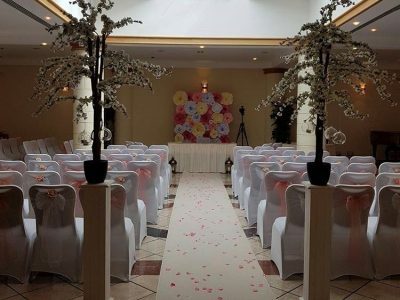 Happily Ever After Starts Here- If you would like to find out more about your Suites Hotel & Spa Wedding call us today on 0151-549-2222 or click below to see our brochures.